Usually when it comes to video games, we here in the western part of the globe usually get short-handed when it comes to great bundle deals since so-called marketing gurus think that we simply won't buy these things. 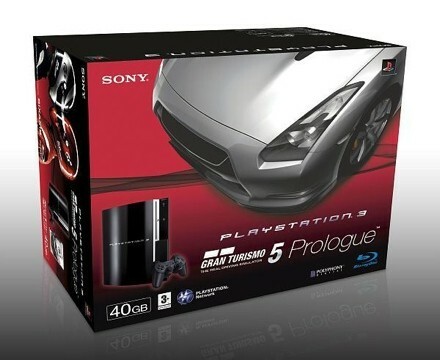 At least Europe is getting their piece of the pie with this awesome Gran Turismo 5 Prologue bundle deal. Priced at 399 Euros, this bundle is the 40GB PS3 with GT5. For us Americans who are feeling the burn on this one, don't fret too much; the kit doesn't come with the HD cables needed for Blue-Ray and 399 Euros will soon be worth $600 as the dollar continues to drop... so maybe we won't get short-handed? Of course I'll wait for a Ps3-Final Fantasy XIII bundle.